Johnny&Squee!. I drew this on paper but i saw it on DeviantArt :3. 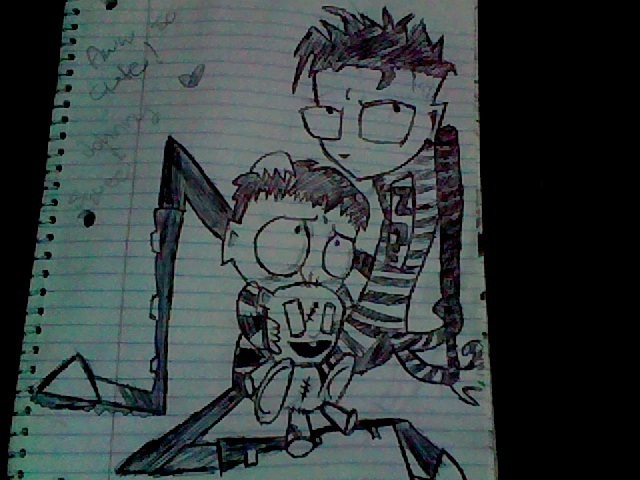 Wallpaper and background images in the Johnny the Homicidal Maniac club tagged: nny jthm squee johnny the homicidal maniac. This Johnny the Homicidal Maniac fan art might contain নকল মানুষের, কমিক বই, কমিকস, and কার্টুন. Not bad. P: I'll have to take a shot at drawing this sometime... Pity I don't post art on fanpop any more.